In finance, an exchange rate is the rate at which one currency will be exchanged for another. It is also regarded as the value of one country’s currency in relation to another currency. For example, an interbank exchange rate of 114 Japanese yen to the United States dollar means that ¥114 will be exchanged for each US$1 or that US$1 will be exchanged for each ¥114. In this case it is said that the price of a dollar in relation to yen is ¥114, or equivalently that the price of a yen in relation to dollars is $1/114. Finance is a field that is concerned with the allocation (investment) of assets and liabilities over space and time, often under conditions of risk or uncertainty. Finance can also be defined as the art of money management. Participants in the market aim to price assets based on their risk level, fundamental value, and their expected rate of return. Finance can be split into three sub-categories: public finance, corporate finance and personal finance. The yen is the official currency of Japan. It is the third most traded currency in the foreign exchange market after the United States dollar and the euro. It is also widely used as a reserve currency after the U.S. dollar, the euro, and the pound sterling. Exchange rates are determined in the foreign exchange market,  which is open to a wide range of different types of buyers and sellers, and where currency trading is continuous: 24 hours a day except weekends, i.e. trading from 20:15 GMT on Sunday until 22:00 GMT Friday. The spot exchange rate refers to the current exchange rate. The forward exchange rate refers to an exchange rate that is quoted and traded today but for delivery and payment on a specific future date. The foreign exchange market is a global decentralized or over-the-counter (OTC) market for the trading of currencies. This market determines the foreign exchange rate. It includes all aspects of buying, selling and exchanging currencies at current or determined prices. In terms of trading volume, it is by far the largest market in the world, followed by the Credit market. The forward exchange rate is the exchange rate at which a bank agrees to exchange one currency for another at a future date when it enters into a forward contract with an investor. Multinational corporations, banks, and other financial institutions enter into forward contracts to take advantage of the forward rate for hedging purposes. The forward exchange rate is determined by a parity relationship among the spot exchange rate and differences in interest rates between two countries, which reflects an economic equilibrium in the foreign exchange market under which arbitrage opportunities are eliminated. When in equilibrium, and when interest rates vary across two countries, the parity condition implies that the forward rate includes a premium or discount reflecting the interest rate differential. Forward exchange rates have important theoretical implications for forecasting future spot exchange rates. Financial economists have put forth a hypothesis that the forward rate accurately predicts the future spot rate, for which empirical evidence is mixed. Commissions are a form of variable-pay remuneration for services rendered or products sold. Commissions are a common way to motivate and reward salespeople. Commissions can also be designed to encourage specific sales behaviors. For example, commissions may be reduced when granting large discounts. Or commissions may be increased when selling certain products the organization wants to promote. Commissions are usually implemented within the framework on a sales incentive program, which can include one or multiple commission plans. Currency for international travel and cross-border payments is predominantly purchased from banks, foreign exchange brokerages and various forms of bureaux de change. These retail outlets source currency from the inter-bank markets, which are valued by the Bank for International Settlements at 5.3 trillion US dollars per day. The purchase is made at the spot contract rate. Retail customers will be charged, in the form of commission or otherwise, to cover the provider's costs and generate a profits. One form of charge is the use of an exchange rate that is less favourable than the wholesale spot rate. The difference between retail buying and selling prices is referred to as the bid–ask spread. The Bank for International Settlements (BIS) is an international financial institution owned by central banks which "fosters international monetary and financial cooperation and serves as a bank for central banks". The BIS carries out its work through its meetings, programmes and through the Basel Process – hosting international groups pursuing global financial stability and facilitating their interaction. It also provides banking services, but only to central banks and other international organizations. It is based in Basel, Switzerland, with representative offices in Hong Kong and Mexico City. In finance, a spot contract, spot transaction, or simply spot, is a contract of buying or selling a commodity, security or currency for immediate settlement on the spot date, which is normally two business days after the trade date. The settlement price is called spot price. A spot contract is in contrast with a forward contract or futures contract where contract terms are agreed now but delivery and payment will occur at a future date. The bid–ask spread, is the difference between the prices quoted for an immediate sale (offer) and an immediate purchase (bid) for stocks, futures contracts, options, or currency pairs. The size of the bid-offer spread in a security is one measure of the liquidity of the market and of the size of the transaction cost. If the spread is 0 then it is a frictionless asset. There is a market convention that determines which is the fixed currency and which is the variable currency. In most parts of the world, the order is: EUR – GBP – AUD – NZD – USD – others. [ citation needed ] Accordingly, in a conversion from EUR to AUD, EUR is the fixed currency, AUD is the variable currency and the exchange rate indicates how many Australian dollars would be paid or received for 1 Euro. Cyprus and Malta, which were quoted as the base[ clarification needed ] to the USD and others, were recently removed from this list when they joined the Eurozone. 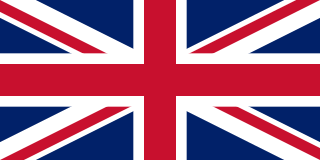 In some areas of Europe and in the retail market in the United Kingdom, EUR and GBP are reversed so that GBP is quoted as the fixed currency to the euro. In order to determine which is the fixed currency when neither currency is on the above list (i.e. both are "other"), market convention is to use the fixed currency which gives an exchange rate greater than 1.000. This reduces rounding issues and the need to use excessive numbers of decimal places. There are some exceptions to this rule: for example, the Japanese often quote their currency as the base to other currencies. Quotation using a country's home currency as the price currency is known as direct quotation or price quotation (from that country's perspective) [ clarification needed ] For example, EUR 0.8989 = USD 1.00 in the Eurozone  and is used in most countries. Quotation using a country's home currency as the unit currency[ clarification needed ] (for example, USD 1.11 = EUR 1.00 in the Eurozone) is known as indirect quotation or quantity quotation and is used in British newspapers ; it is also common in Australia, New Zealand and the Eurozone. Using direct quotation, if the home currency is strengthening (that is, appreciating, or becoming more valuable) then the exchange rate number decreases. Conversely, if the foreign currency is strengthening and the home currency is depreciating, the exchange rate number increases. In 2005, Barclays Capital broke with convention by quoting spot exchange rates with five or six decimal places on their electronic dealing platform. The contraction of spreads (the difference between the bid and ask rates) arguably necessitated finer pricing and gave the banks the ability to try and win transactions on multibank trading platforms where all banks may otherwise have been quoting the same price. A number of other banks have now followed this system. Each country determines the exchange rate regime that will apply to its currency. For example, the currency may be free-floating, pegged (fixed), or a hybrid. If a currency is free-floating, its exchange rate is allowed to vary against that of other currencies and is determined by the market forces of supply and demand. Exchange rates for such currencies are likely to change almost constantly as quoted on financial markets, mainly by banks, around the world. A movable or adjustable peg system is a system of fixed exchange rates, but with a provision for the revaluation (usually devaluation) of a currency. For example, between 1994 and 2005, the Chinese yuan renminbi (RMB) was pegged to the United States dollar at RMB 8.2768 to $1. China was not the only country to do this; from the end of World War II until 1967, Western European countries all maintained fixed exchange rates with the US dollar based on the Bretton Woods system. But that system had to be abandoned in favor of floating, market-based regimes due to market pressures and speculation, according to President Richard M. Nixon in a speech on August 15, 1971, in what is known as the Nixon Shock. Still, some governments strive to keep their currency within a narrow range. As a result, currencies become over-valued or under-valued, leading to excessive trade deficits or surpluses. Buying rate: Also known as the purchase price, it is the price used by the foreign exchange bank to buy foreign currency from the customer. In general, the exchange rate where the foreign currency is converted to a smaller number of domestic currencies is the buying rate, which indicates how much the country's currency is required to buy a certain amount of foreign exchange. Selling rate: Also known as the foreign exchange selling price, it refers to the exchange rate used by the bank to sell foreign exchange to customers. It indicates how much the country’s currency needs to be recovered if the bank sells a certain amount of foreign exchange. Middle rate: The average of the bid price and the ask price. Commonly used in newspapers, magazines or economic analysis. Spot exchange rate: Refers to the exchange rate of spot foreign exchange transactions. That is, after the foreign exchange transaction is completed, the exchange rate in Delivery within two working days. The exchange rate that is generally listed on the foreign exchange market is generally referred to as the spot exchange rate unless it specifically indicates the forward exchange rate. Forward exchange rate: To be delivered in a certain period of time in the future, but beforehand, the buyer and the seller will enter into a contract to reach an agreement. When the delivery date is reached, both parties to the agreement will deliver the transaction at the exchange rate and amount of the reservation. Forward foreign exchange trading is an appointment-based transaction, which is due to the different time the foreign exchange purchaser needs for foreign exchange funds and the introduction of foreign exchange risk. The forward exchange rate is based on the spot exchange rate, which is represented by the “premium”, “discount”, and “parity” of the spot exchange rate. Basic rate: Usually choose a key convertible currency that is the most commonly used in international economic transactions and accounts for the largest proportion of foreign exchange reserves. Compare it with the currency of the country and set the exchange rate. This exchange rate is the basic exchange rate. The key currency generally refers to a world currency, which is widely used for pricing, settlement, reserve currency, freely convertible, and internationally accepted currency. Cross rate: After the basic exchange rate is worked out, the exchange rate of the local currency against other foreign currencies can be calculated through the basic exchange rate. The resulting exchange rate is the cross exchange rate. Official rate: The official exchange rate is the rate of exchange announced by a country’s foreign exchange administration. Usually used by countries with strict foreign exchange controls. Market rate: The market exchange rate refers to the real exchange rate for trading foreign exchange in the free market. It fluctuates with changes in foreign exchange supply and demand conditions. Fixed exchange rate: It means that the exchange rate between a country’s currency and another country's currency is basically fixed, and the fluctuation of exchange rate is very small. Floating exchange rate: It means that the monetary authorities of a country do not stipulate the official exchange rate of the country’s currency against other currencies, nor does it have any upper or lower limit of exchange rate fluctuations. The local currency is determined by the supply and demand relationship of the foreign exchange market, and it is free to rise and fall. Nominal exchange rate: an exchange rate that is officially announced or marketed which does not consider inflation. Balance of payments: When a country has a large international balance of payments deficit or trade deficit, it means that its foreign exchange earnings are less than foreign exchange expenditures and its demand for foreign exchange exceeds its supply, so its foreign exchange rate rises, and its currency depreciates. Interest rate level: Interest rates are the cost and profit of borrowing capital. When a country raises its interest rate or its domestic interest rate is higher than the foreign interest rate, it will cause capital inflow, thereby increasing the demand for domestic currency, allowing the currency to appreciate and the foreign exchange depreciate. Inflation factor: The inflation rate of a country rises, the purchasing power of money declines, the paper currency depreciates internally, and then the foreign currency appreciates. If both countries have inflation, the currencies of countries with high inflation will depreciate against those with low inflation. The latter is a relative revaluation of the former. Fiscal and monetary policy: Although the influence of monetary policy on the exchange rate changes of a country’s government is indirect, it is also very important.In general, the huge fiscal revenue and expenditure deficit caused by expansionary fiscal and monetary policies and inflation will devalue the domestic currency. The tightening fiscal and monetary policies will reduce fiscal expenditures, stabilize the currency, and increase the value of the domestic currency. Venture capital: If speculators expect a certain currency to appreciate, they will buy a large amount of that currency, which will cause the exchange rate of that currency to rise. Conversely, if speculators expect a certain currency to depreciate, they will sell off a large amount of the currency, resulting in speculation. The currency exchange rate immediately fell. Speculation is an important factor in the short-term fluctuations in the exchange rate of the foreign exchange market. Government market intervention: When exchange rate fluctuations in the foreign exchange market adversely affect a country’s economy, trade, or the government needs to achieve certain policy goals through exchange rate adjustments, monetary authorities can participate in currency trading, buying or selling local or foreign currencies in large quantities in the market. The foreign exchange supply and demand has caused the exchange rate to change. Economic strength of a country: In general, high economic growth rates are not conducive to the local currency's performance in the foreign exchange market in the short term, but in the long run, they strongly support the strong momentum of the local currency. A market-based exchange rate will change whenever the values of either of the two component currencies change. A currency becomes more valuable whenever demand for it is greater than the available supply. It will become less valuable whenever demand is less than available supply (this does not mean people no longer want money, it just means they prefer holding their wealth in some other form, possibly another currency). Increased demand for a currency can be due to either an increased transaction demand for money or an increased speculative demand for money. The transaction demand is highly correlated to a country's level of business activity, gross domestic product (GDP), and employment levels. The more people that are unemployed, the less the public as a whole will spend on goods and services. Central banks typically have little difficulty adjusting the available money supply to accommodate changes in the demand for money due to business transactions. Thus the real exchange rate is the exchange rate times the relative prices of a market basket of goods in the two countries. For example, the purchasing power of the US dollar relative to that of the euro is the dollar price of a euro (dollars per euro) times the euro price of one unit of the market basket (euros/goods unit) divided by the dollar price of the market basket (dollars per goods unit), and hence is dimensionless. This is the exchange rate (expressed as dollars per euro) times the relative price of the two currencies in terms of their ability to purchase units of the market basket (euros per goods unit divided by dollars per goods unit). If all goods were freely tradable, and foreign and domestic residents purchased identical baskets of goods, purchasing power parity (PPP) would hold for the exchange rate and GDP deflators (price levels) of the two countries, and the real exchange rate would always equal 1. Given that RER misalignment and, in particular overvaluation, can undermine the country’s export-oriented development strategy, the equilibrium RER measurement is crucial for policymakers. Unfortunately, this variable cannot be observed. The most common method in order to estimate the equilibrium RER is the universally accepted Purchasing Power Parity (PPP) theory, according to which the RER equilibrium level is assumed to remain constant over time. Nevertheless, the equilibrium RER is not a fixed value as it follows the trend of key economic fundamentals,  such as different monetary and fiscal policies or asymmetrical shocks between the home country and abroad. Consequently, the PPP doctrine has been largely debated during the years, given that it may signal a natural RER movement towards its new equilibrium as a RER misalignment. Bilateral exchange rate involves a currency pair, while an effective exchange rate is a weighted average of a basket of foreign currencies, and it can be viewed as an overall measure of the country's external competitiveness. A nominal effective exchange rate (NEER) is weighted with the inverse of the asymptotic trade weights. A real effective exchange rate (REER) adjusts NEER by appropriate foreign price level and deflates by the home country price level. Compared to NEER, a GDP weighted effective exchange rate might be more appropriate considering the global investment phenomenon. Uncovered interest rate parity (UIRP) states that an appreciation or depreciation of one currency against another currency might be neutralized by a change in the interest rate differential. If US interest rates increase while Japanese interest rates remain unchanged then the US dollar should depreciate against the Japanese yen by an amount that prevents arbitrage (in reality the opposite, appreciation, quite frequently happens in the short-term, as explained below). The future exchange rate is reflected into the forward exchange rate stated today. In our example, the forward exchange rate of the dollar is said to be at a discount because it buys fewer Japanese yen in the forward rate than it does in the spot rate. The yen is said to be at a premium. UIRP showed no proof of working after the 1990s. Contrary to the theory, currencies with high interest rates characteristically appreciated rather than depreciated on the reward of the containment of inflation and a higher-yielding currency. The balance of payments model holds that foreign exchange rates are at an equilibrium level if they produce a stable current account balance. A nation with a trade deficit will experience a reduction in its foreign exchange reserves, which ultimately lowers (depreciates) the value of its currency. A cheaper (undervalued) currency renders the nation's goods (exports) more affordable in the global market while making imports more expensive. After an intermediate period, imports will be forced down and exports to rise, thus stabilizing the trade balance and bring the currency towards equilibrium. Like purchasing power parity, the balance of payments model focuses largely on tradeable goods and services, ignoring the increasing role of global capital flows. In other words, money is not only chasing goods and services, but to a larger extent, financial assets such as stocks and bonds. Their flows go into the capital account item of the balance of payments, thus balancing the deficit in the current account. The increase in capital flows has given rise to the asset market model effectively. The asset market approach views currencies as asset prices traded in an efficient financial market. Consequently, currencies are increasingly demonstrating a strong correlation with other markets, particularly equities. Like the stock exchange, money can be made (or lost) on trading by investors and speculators in the foreign exchange market. Currencies can be traded at spot and foreign exchange options markets. The spot market represents current exchange rates, whereas options are derivatives of exchange rates. In general, exporters of goods and services will prefer a lower value for their currencies, while importers will prefer a higher value. Wikivoyage has a travel guide for Money & currency exchange . Wikimedia Commons has media related to Currency exchange rate charts . In economics, inflation is a sustained increase in the general price level of goods and services in an economy over a period of time. When the general price level rises, each unit of currency buys fewer goods and services; consequently, inflation reflects a reduction in the purchasing power per unit of money – a loss of real value in the medium of exchange and unit of account within the economy. A chief measure of price inflation is the inflation rate, the annualized percentage change in a general price index, usually the consumer price index, over time. The opposite of inflation is deflation. Purchasing power parity (PPP) is a way of measuring economic variables in different countries so that irrelevant exchange rate variations do not distort comparisons. Purchasing power exchange rates are such that it would cost exactly the same number of, for example, US dollars to buy euros and then buy a basket of goods in the market as it would cost to purchase the same goods directly with dollars. The purchasing power exchange rate used in this conversion equals the ratio of the currencies' respective purchasing powers. Currency substitution or dollarization is the use of a foreign currency in parallel to or instead of the domestic currency. Monetary policy is the process by which the monetary authority of a country, typically the central bank or currency board, controls either the cost of very short-term borrowing or the money supply, often targeting an inflation rate or interest rate to ensure price stability and general trust in the currency. In modern monetary policy, a devaluation is an official lowering of the value of a country's currency within a fixed exchange rate system, by which the monetary authority formally sets a new fixed rate with respect to a foreign reference currency or currency basket. In contrast, a depreciation is a decrease in a currency's value due to market forces under a floating exchange rate, not government or central bank policy actions. 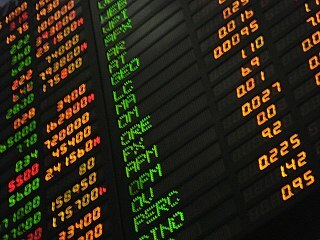 Foreign-exchange reserves is money or other assets held by a central bank or other monetary authority so that it can pay its liabilities if needed, such as the currency issued by the central bank, as well as the various bank reserves deposited with the central bank by the government and other financial institutions. Reserves are held in one or more reserve currencies, mostly the United States dollar and to a lesser extent the Euro. An exchange-rate regime is the way an authority manages its currency in relation to other currencies and the foreign exchange market. It is closely related to monetary policy and the two are generally dependent on many of the same factors, such as economic scale and openness, inflation rate, elasticity of labor market, financial market development, capital mobility and etc. A floating exchange rate is a type of exchange-rate regime in which a currency's value is allowed to fluctuate in response to foreign-exchange market mechanisms. A currency that uses a floating exchange rate is known as a floating currency. A floating currency is contrasted with a fixed currency whose value is tied to that of another currency, material goods or to a currency basket. The Mundell–Fleming model, also known as the IS-LM-BoP model, is an economic model first set forth (independently) by Robert Mundell and Marcus Fleming. The model is an extension of the IS-LM model. Whereas the traditional IS-LM model deals with economy under autarky, the Mundell–Fleming model describes a small open economy. Mundell's paper suggests that the model can be applied to Zurich, Brussels and so on. The Plano Real was a set of measures taken to stabilize the Brazilian economy in 1994, during the presidency of Itamar Franco. Its architects were led by the Minister of Finance and succeeding president Fernando Henrique Cardoso. The Plano Real was based on an analysis of the root causes of hyperinflation in the New Republic of Brazil, that concluded that there was both an issue of fiscal policy and severe, widespread inertial inflation. The Plano Real intended to stabilize the domestic currency in nominal terms after a string of failed plans to control inflation. Revaluation is a change in a price of a good or product, or especially of a currency, in which case it is specifically an official rise of the value of the currency in relation to a foreign currency in a fixed exchange rate system. Under floating exchange rates, by contrast, a rise in a currency's value is an appreciation. Altering the face value of a currency without changing its purchasing power is a redenomination, not a revaluation. Currency depreciation is the loss of value of a country's currency with respect to one or more foreign reference currencies, typically in a floating exchange rate system in which no official currency value is maintained. Currency appreciation in the same context is an increase in the value of the currency. Short-term changes in the value of a currency is reflected in changes in the exchange rate. Currency intervention, also known as foreign exchange market intervention or currency manipulation is a monetary policy operation. It occurs when a government or central bank buys or sells foreign currency in exchange for their own domestic currency, generally with the intention of influencing the exchange rate and trade policy. A fixed exchange rate, sometimes called a pegged exchange rate, is a type of exchange rate regime in which a currency's value is fixed against either the value of another single currency, a basket of other currencies, or another measure of value, such as gold. Domestic liability dollarization (DLD) refers to the denomination of banking system deposits and lending in a currency other than that of the country in which they are held. DLD does not refer exclusively to denomination in US dollars, as DLD encompasses accounts denominated in internationally traded "hard" currencies such as the British pound sterling, the Swiss franc, the Japanese yen, and the Euro. This glossary of economics is a list of definitions of terms and concepts used in economics, its sub-disciplines, and related fields. ↑ O'Sullivan, Arthur; Steven M. Sheffrin (2003). Economics: Principles in action. Upper Saddle River, New Jersey 07458: Pearson Prentice Hall. p. 458. ISBN 0-13-063085-3. ↑ "Triennial Central Bank Survey : Foreign(other countries) exchange turnover in April 2013 : preliminary global results : Monetary and Economic Department" (PDF). Bis.org. Retrieved 23 December 2017. ↑ Peters, Will. "Find the Best British Pound to Euro Exchange Rate". Pound Sterling Live. Retrieved 21 March 2015. ↑ Abdulla, Mouhamed (March 2014). Understanding Pip Movement in FOREX Trading (PDF) (Report). ↑ "Barclays upgrades eFX platform with new precision pricing". Finextra Research. 7 April 2005. ↑ "Wayback Machine" (PDF). 24 August 2006. ↑ "Currency Adjustment Factor - CAF". Academic Dictionaries and Encyclopedias. ↑ "Currency Adjustment Factor". Global Forwarding. 1 2 Erlat, Guzin; Arslaner, Ferhat (December 1997). "Measuring Annual Real Exchange Rate Series for Turkey". Yapi Kredi Economic Review. 2 (8): 35–61. 1 2 3 4 Dufrenot, Gilles J.; Yehoue, Etienne B. (2005). "Real Exchange Rate Misalignment: A Panel Co-Integration and Common Factor Analysis". IMF Working Paper. 164. 1 2 3 4 Akram, Q. Farooq; Brunvatne, Kari-Mette; Lokshall, Raymond (2003). "Real equilibrium exchange rates". Norges Bank Occasional Papers. 32. 1 2 Jongwanich, Juthathip (2009). "Equilibrium Real Exchange Rate, Misalignment, and Export Performance in Developing Asia". ADB Economics Working Paper. 151. ↑ Di Bella, Gabriel; Lewis, Mark; Martin, Aurélie (2007). "Assessing Competitiveness and Real Exchange Rate Misalignment in Low-Income Countries". IMF Working Paper. 201. ↑ Jongwanich, Juthathip (2008). "Real exchange rate overvaluation and currency crisis: evidence from Thailand". Applied Economics. 40: 373–382. ↑ Williamson, John (1994). Estimating Equilibrium Exchange Rates. Peterson Institute for International Economics. 1 2 3 4 Clark, Peter B.; MacDonald, Ronald (1998). "Exchange Rates and Economic Fundamentals: A Methodological Comparison of BEERs and FEERs". IMF Working Paper. 67. ↑ Salto, Matteo; Turrini, Alessandro (2010). "Comparing alternative methodologies for real exchange rate assessment". European Economy - Economic Papers. 427. ↑ Zelealem Yiheyis (December 1998). "The Economic Determinants of the Parallel Currency Premium: Evidence from Select African Countries" (PDF). Journal of Economic Development. 23 (2).